Reality is created by thought projection (consciousness) into the physical gird. There are 5 subtle bodies In astral projection the conscious mind leaves the physical body and moves into the astral body to experience. In astral projection you remain attached to your physical body by a 'silver umbilical type cord'. 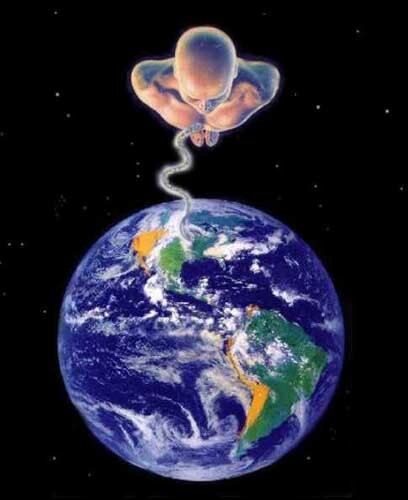 Some people are able to see the cord when astral projecting. To astral project, as with all out-of-body experiences, one must feel totally relaxed, clothing fitting comfortable, reclining is best. Often a comforter is best over the body as the physical body sometimes gets cold when you travel out. When you astral project you are consciously aware of things you encounter while out of your physical body. Some people can astral project naturally. Others are afraid to remove their consciousness from the physical body and never learn to astral project. Astral projection (or astral travel) is an out-of-body experience achieved either awake or via lucid dreaming or deep meditation. 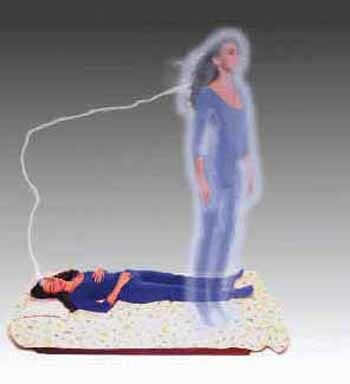 People who say they experience astral projection often say that their spirit or astral body has left their physical body and moves in another dimension known as the spirit world or astral plane. The concept of astral projection has been around and practiced for thousands of years, dating back to ancient China. It is currently often associated with the New Age movement. Psychics often say that the subconscious (or dreaming) mind contains the spirit or astral body, resulting in falling dreams or waking up with a falling sensation or sudden jerk. Most dreams are not remembered by the conscious mind, making the experience of astral projection a subject of subjectivity. Believers in astral projection point out, though, that most ghost sightings often define the ghost as a lucid or transparent apparition walking the earth. It is unclear whether every physical object has an 'astral' counterpart, or if a spirit literally uses incarnation into a physical body and this is what results in astral projections, or if the phenomena is something else entirely. Astral projection also touches on life itself and what happens after physical death. There are two general schools of thought on the nature of astral projection. These can broadly be defined as the mystical model and the phasing model. The Mystical Model includes a large variety of belief systems and astral maps, but they are tied together by their belief that astral projection takes place outside of the actual physical body. In this model, a more subtle energy body is believed to carry the consciousness outside of the physical body. In their book Projection of the Astral Body, Carrington and Muldoon detail how consciousness is transferred into a secondary "energy" body (the etheric body) to allow travel into the astral planes. This idea is also described by other authors such as Robert Peterson in his book Out of Body Experiences: How to have them and what to expect (chapters 5, 17, 22), and Robert Bruce in his book Astral Dynamics (pages 31-33, 404-410, 538). Bruce expanded on this idea in his book Astral Dynamics, stating that higher planes of existence are reached through the progressive projection of subtler energy bodies from previous projected bodies (pages 33-42). The subtle body is attached to the physical body by means of an energetic connection which usually takes the appearance of a silver cord 'plugging' into the chakra system like an umbilical cord. Robert Peterson describes this in chapter 13 of his book Out of Body Experiences, Robert Bruce in his book Astral Dynamics (pages 27, 52-53, 84, 397-403,544) and by Carrington and Muldoon in their book Projection of the Astral Body. The traveler finds him- or herself in an apparently real domain, analogous to the "other worlds" experienced by traditional peoples, which have no parallel to any physical setting or to consensus reality, described by New Agers and occultists as the astral plane or "the astral". Environments here may range from populated to unpopulated, artificial to natural to completely abstract environments and from beautific to horrific. Here, normal physical laws often do not apply and humans can often, for example, float or fly. Quality of physical detail ranges from crude, non-detailed and depressing to bright, vivid and fascinating as detailed, among other writers, by Robert Bruce in his Astral Dynamics. Travelers may travel from one realm to the other. Projectors may find access to visions of the past or future and to the Akashic Records accessible from here. It has been said that space and time do not exist on the astral plane nor the higher planes, but no explanation is given as to how forms and entire environments can exist without spatial dimensions, nor why there can be a sequence of events and yet no such thing as time. Many travelers have theorized that people having dreams actually travel to the astral realms, unaware, and, again as reported in Astral Dynamics, travelers have reported seeing dreamers enact dream scenarios on the astral plane, unaware of the more extensive and varied non-physical environment surrounding them. Some also claim common movements in dreams, such as falling or feeling like you are walking through quicksand, is the astral body in action. In contrast to "astral" projection, the traditional understanding of out-of-body experiences involves the projector (or traveler) moving about in usually invisible or ghost-like form in a mundane physical realityÑthe etheric body. This world may, however, have minor differences between the physical reality world we know if strict mind control is not maintained. Proponents of the writings of Robert Bruce sometimes refer to this practice as "Real Time Projection" (RTP) and the mundane world as the "Real Time Zone" (RTZ). From the Real Time Zone, travelers can access "the astral" or remain in the RTZ and witness real time happenings. In Western theosophy, each subtle body is functionally distinct. Since the etheric body and astral body are not the same, according to several sources (noted below), they can not possibly represent the same kind of psychic activity. Alice Bailey, in Telepathy and the Etheric Vehicle (Lucis Trust), stated that the etheric and astral bodies should not be confused. She indicated that "HPB" (Helena P. Blavatsky) had erroneously merged the two concepts, in order to cover a "mass of information anent the etheric [and] astral" (pages 140-141). The Rosicrucian Fellowship has released several publications on the "etheric region" and the etheric body, as well as their integral relationship with the physical state of being (see Max Heindel, et al). The Theosophical Society, having several branches around the world, also has published literature on both the etheric and astral states. To them, the etheric body is actually the same as the physical; however, it "rests" at a slightly different frequency than regular matter. Lawrence Bendit and Phoebe Bendit wrote a book called The Etheric Body of Man (Theosophical Publishing), in which the analysis of a psychiatrist meets the psychic visions of an alleged clairvoyant. Therein, the authors explain how the etheric body is a functionally separate body from the physical, and yet they share a mutual relationship, all of which seem to be consistent with how ether and etheric projection is believed to operate, as depicted in other literature. The term was coined at least as far back as the 1940s, by Dion Fortune in her book Psychic Self Defense (Red Wheel/Weiser). She details how an etheric body (during etheric projection), once projected, is "sufficiently physical enough" to be mutually observed by on-lookers (pages 20-22). James H. Brennan, in The Astral Projection Workbook (Sterling Pubishing), devotes an entire section of his book to etheric projection and its constituents (pages 17-28). Annie Besant, in The Seven Principles of Man (Theosophical Publishing House) actually explained that the "etheric double" can be separated from the physical body: This etheric double is the exact double or counterpart of the [physical] body to which it belongs, and is separable [from it]... When separated from the [physical] body it is visible to the clairvoyant as an exact replica thereof, united to it by a slender thread... (pages 8-9). Stuart Wilde in The Sixth Sense (Hay House) wrote that the etheric body (not astral) is the "true" individual, and that its function is to allow psychic abilities to actually surface. He stated that astral projection is not at all part of the etheric body's actions, and that it is more a "mental state [of reverie]" (page 102). Further, he said that the etheric body is actually the vehicle used in an OBE, and that calling it astral projection is misleading (pages 102-103). Mental projection is projection of the astral body to the mental plane via utilisation of mental energy while within the astral or etheric to phase into the Mental, or a different process used to project directly into the Mental Plane. The active subtle body of the mental plane is the mental body, which constitutes the intellectual consciousness of the projector in general. The environment is generally highly colorful and kaleidoscopic in nature, like the astral, and shifting consciously. The difference is that even mathematical functions and thoughts will manifest seemingly physically. The buffer zone between the astral and mental planes is known as the Akashic Records, and appears as a library of knowledge of past, present, and future possibility. There are many theories as to why the perceptions of these records and the mental plane in general differ from projector to projector, but the general consensus is that the Akashic records will appear differently, like a computer or library to different people at different times, and that the future is always sketchy and can often change mid-viewing to the projector. Astral Projection is a forbidden practice for Roman Catholics because the soul; containing all reason, thought, memories, emotion, attitudes, and beliefs; leaves the physical body during a wake state, and this can cause bizarre belief systems to develop, based on improperly interpreted sensations from the reality elevated from, and parallel to three dimensional reality. The soul in an agnostic state; that is indifferent toward The Holy Trinity, or Triune God - God The Father, God The Son, and God The Holy Spirit; is left without protection, roaming the atmosphere, and perhaps some distance beyond this in a spiritual ghetto that surrounds the earth: The Third Heaven. The Third Heaven is ruled by spiritual hosts of wickedness in the high places, which will send demons to deceive those who will not keep to the domain of the world. A human soul, when detached from the physical body, during a waking state, without the protection of The Roman Catholic God, Jesus Christ, is very vulnerable to molestation by demons. Roman Catholics refer to escorted travel in the spiritual dimension, an anointing. Jesus Christ is The Anointed of God, Who, while in human form was constantly aware of All Truth, regardless of the shortcomings of the human sensory channels. He was, therefore, constantly in a state of Astral Projection, or anointing. The anointed of God will prophesy Truth directly from God, perform miraculous healings, order the atmosphere to obey them, stop rain from falling in a certain area, pass through solid objects, and/or become invisible when threatened.